A burger shape or any other shape plastic card? With or without technology on-board? 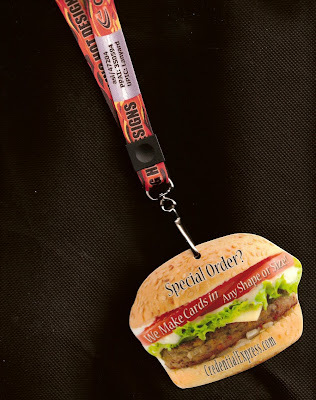 HiRes 4-color process dye sub lanyards as a rush service? Both IT and physical security breaches are increasing. Over the past 12 months, 55 percent of survey respondents indicated that their districts had suffered an IT security breach, while 67 percent reported suffering a physical security breach. Bob Kirby, CDW-G vice president for K-12 education, said that as in years past, budgets remain the biggest hurdle for school districts to overcome when the need to make security improvements arise. We say: What is the cost if you wait until after a breach to implement adequate security?